Courtesy of ALL READY PROPERTY MANAGEMENT. Impeccable home for sale in the desirable Long Lake Ranch Village. Home has luxurious furnishings and upgrades throughout. Four bedrooms, Master bedroom/bathroom downstairs, along with two other bedrooms, but if you want more privacy, upstairs is it’s own bedroom, bathroom, and sitting area. Extra large backyard with a 860 sq ft travertine patio to entertain your family and guests! Hardwood floors in the common areas with carpet in the bedrooms. The kitchen is everything you’ve been looking for with high windows to let natural light in, as well as an open area with neutral granite counter tops, beautiful cabinets, a double oven range, and a big walk in pantry. The kitchen overlooks the dining and living areas as well as having a line of sight to the patio and backyard. An iron stare rail leaves the kitchen, dining area, and living area feeling incredibly spacious. The owners are willing to offer a one year home warranty for the buyers. 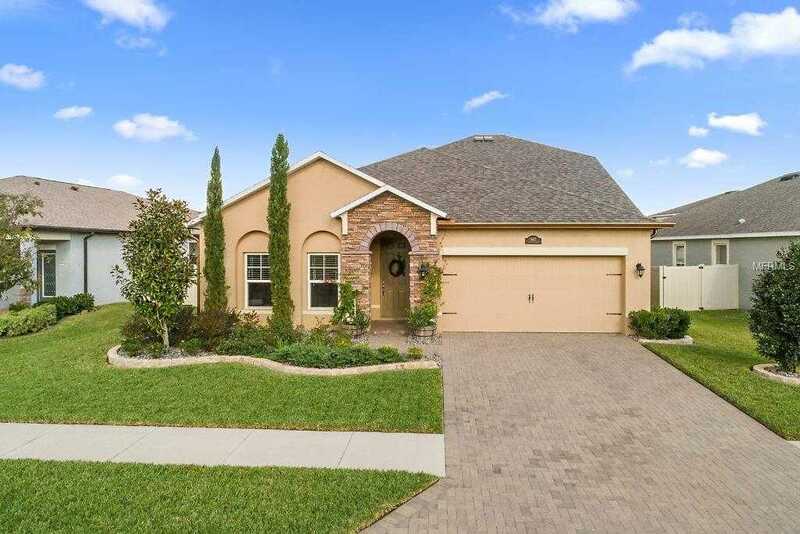 The highly desirable Long Lake Ranch Subdivision is an easy commute to Tampa Bay, a short drive to all the major roads. The community offers lots of amenities, tennis, and basketball courts, community pool, dog park, play ground, and a 40 acre lake with walking trail and dock. Don’t miss your chance at this gorgeous home, schedule a showing today! Please, send me more information on this property: MLS# T3151791 – $355,000 – 1697 Fox Grape Loop, Lutz, FL 33558. I would like to schedule a showing appointment for this property: MLS# T3151791 – $355,000 – 1697 Fox Grape Loop, Lutz, FL 33558.